Calling all up and coming Singers, Pickers, Players, Strummers, and Drummers. Want to show everyone your talent? Maybe it's just you, or two of you....or more! Then get your act(s) together, and let Toccoa, and all of North Georgia and Upstate South Carolina see you in action! 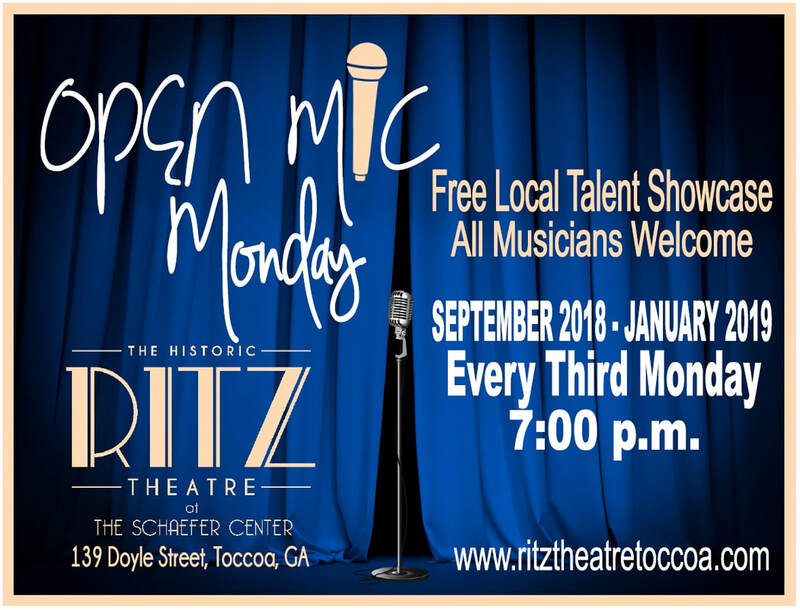 It's the second annual Open Mic Monday competition at the Historic Ritz Theatre returning September 17th at 7 PM and then every third Monday through December. A final competition will be held on January 21, 2019 between the winners of each Open Mic Monday.